We were traveling to the Niccone Valley on the Tuscany/Umbria border in central Italy to celebrate my husband's aunt, Andrea's 75th birthday. 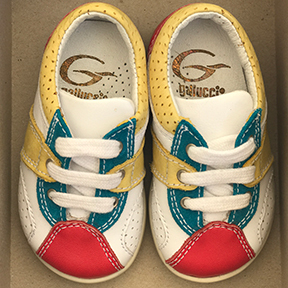 Andrea is an inspiring architect, professor, mentor, and maternal figure to her niece and nephews—our kids call her "Grandandy." To celebrate her birthday, Andrea invited her family and friends to vacation with her at a mountain-top villa in Umbria. I've known her exactly half of my life and she has been a constant professional and personal inspiration and aesthetic kindred spirit. Two story stone house with 2 bedrooms/2 bathroom units on each floor. 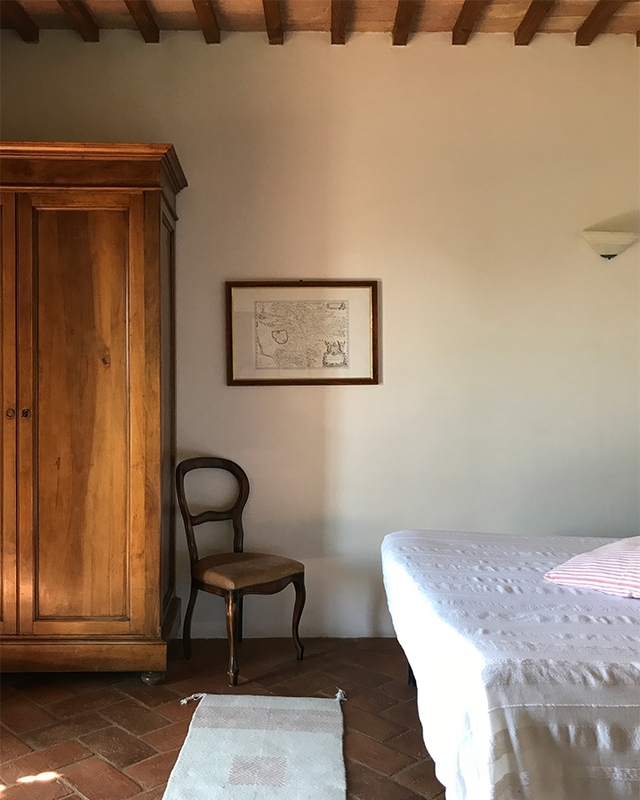 The terra-cotta floor, stone walls, and wooden shutters kept us comfortable through the heatwave. Our kitchen for the week (notice the four espresso makers on the shelf). Wisteria covered trellis for our family meals. The best way for everyone to stay cool during "Lucifer." 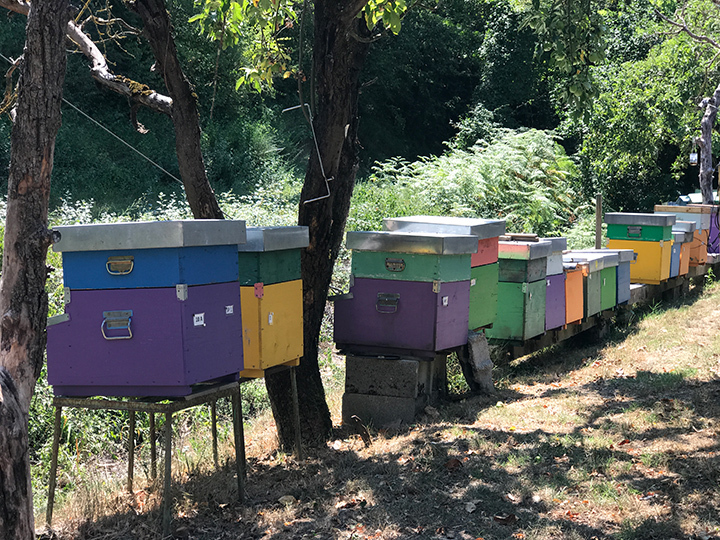 One day, we arranged a tour of Azienda Apistic Montecorona, an apiary (bee farm) that our house hostess told us about in nearby Umbertide. Señor Palombi is a retired science teacher and 4th generation beekeeper. His tour (entirely in Italian) was a big hit with the kids despite the language barrier. My bet is that S. Palombi was an amazing teacher in his day. I would love one or two of these in my backyard. Señor Palombi showing us a demonstration hive. The kids made beeswax candles from molds. 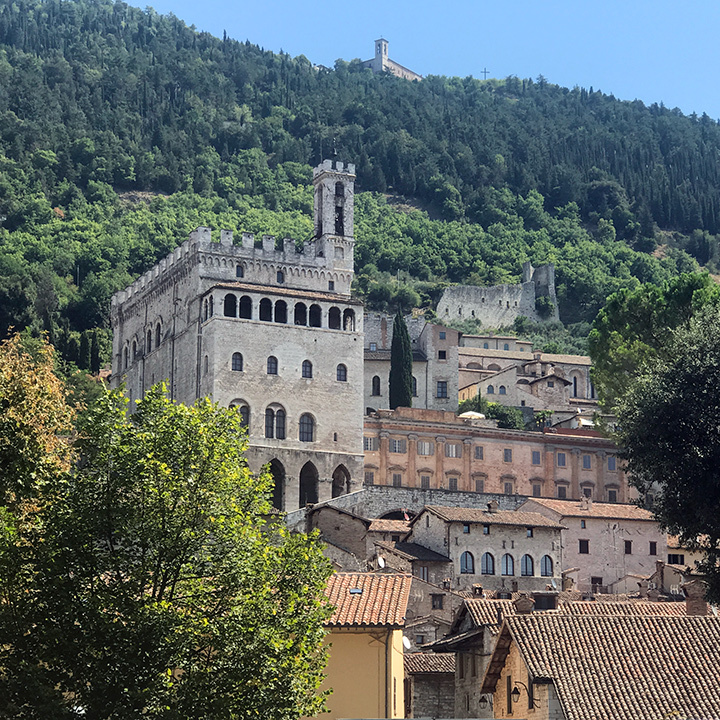 On market day, we made a day trip to the town of Gubbio to do some shopping, eat, and explore this medieval town built into the mountainside. 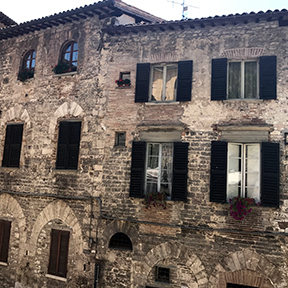 I can't recommend Gubbio in the middle of a heatwave, but seeking AC (if you can find it) and gelato helps! I would love to come back in cooler temperatures. Gubbio is home to the "Festa die Ceri" and "Corsa die Ceri" in May—a packed, uphill, "strongman" race of giant wooden "candles." watch it here! Our days were filled with lazy lunches, afternoon swims, and outdoor sunset dinners that were followed by stargazing (and a wild boar sighting one night!). 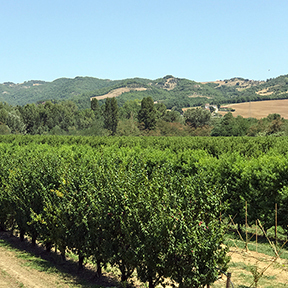 Driving along the Niccone Valley, weaving in and out of Tuscany and Umbria, we passed by sunflower and tobacco fields, fruit orchards, micro-vineyards and olive groves tumbling off hillsides. On our first day in Umbria we already knew we would be back. Older PostMy secret weapon: a capsule wardrobe.